Question: How will a mixture react when dry yeast is combined with hydrogen peroxide and dish soap? Hypothesis: We believe that the stronger the concentration of hydrogen peroxide(H2O2), the quicker a reaction will take place. The higher the concentration of hydrogen peroxide in the solution, the greater the amount of Little Tuskers Tremendous Toothpaste will be produced. Make sure you put the bottle in the tray before the experiment so it will collect the liquid. Add 3 drops of different food coloring to each bottle. Watch your glorious creation of Little Tuskers Tremendous Toothpaste. A sink is needed to wash the trays and bottles before conducting the experiment again. The foamy elephant toothpaste will be created by the decomposition (the break down of one substance into it's component parts) of hydrogen peroxide(H2O2) into Hydrogen and Oxygen. The yeast acts as a catalyst (a substance that changes the rate which a chemical reaction takes place) to remove the oxygen from the hydrogen peroxide. The more oxygen present in the hydrogen peroxide, the quicker the reaction. This reaction not only happens very quickly but also produces bubbles and creates heat. This creation of heat is called an Exothermic reaction. In conclusion, our hypothesis was correct. The 9% hydrogen peroxide reacted quicker than the 6% or 3% hydrogen peroxide. The 9% hydrogen peroxide also yielded the greatest amount of Little Tuskers Tremendous Toothpaste. The 6% hydrogen peroxide reacted faster and produced a greater amount of Little Tuskers Tremendous Toothpaste than the 3% hydrogen peroxide, but slower and less than the 9% hydrogen peroxide. 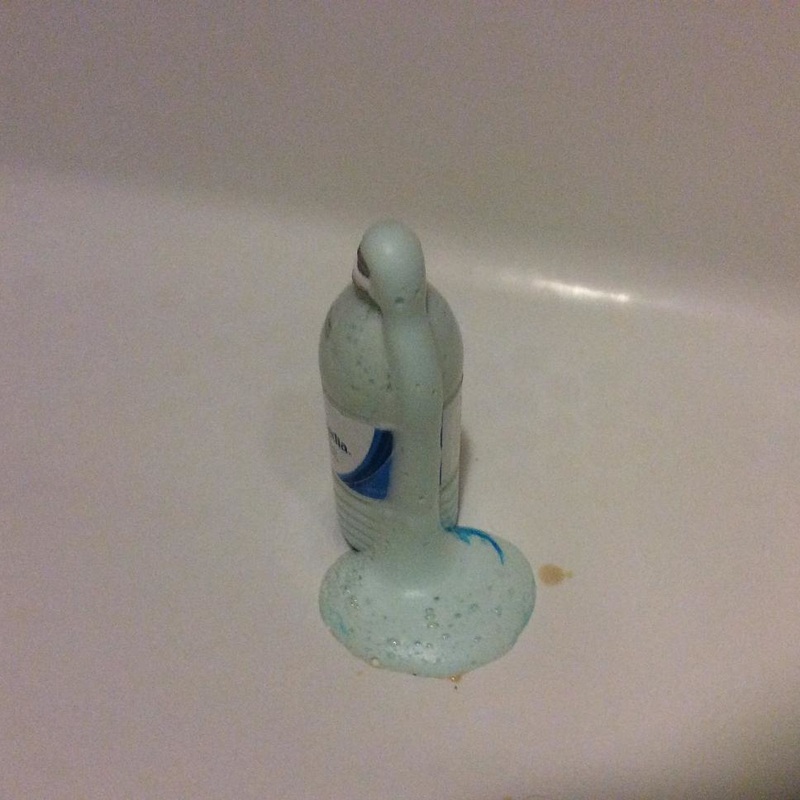 The 3% hydrogen peroxide reacted the slowest and produced the least amount of Little Tuskers Tremendous Toothpaste. I am in the fifth grade, Ms. Vita's class. I enjoy gaming, and am a Boy Scout. I also like to read the book series Harry Potter. I am in 5th grade and I am in Mrs.Luke's class. I am the school president and I am a black belt in Tae Kwon Do. I am in Mrs. Colella's 5th grade class. I play hockey and I like reading. My favorite book series is Harry Potter.